Ivan Utrera bought the Gazelle II in July, 2006. He has restored it, and taken it to the track during the week of October 15, 2006. Ivan reports that, "it worked superbly well. I am still going to change the rear wing (increase size for better efficiency) and plan on adding some additional 'down force' features on the front, to reduce the 'light front' feeling this car has on top speeds. The following ad appeared on ebay on July 14, 2006. 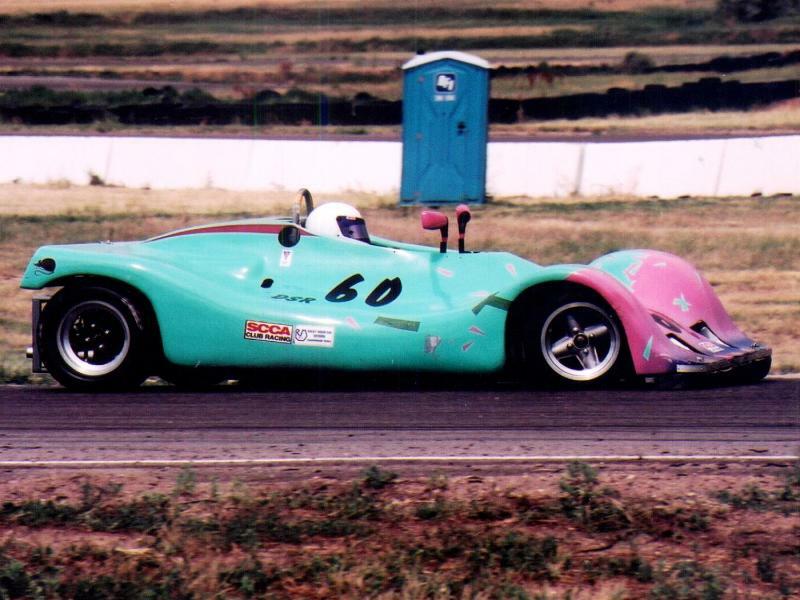 DSR, built by John Barker on Lola 540 frame, 900RR Honda with 44 side slide carbs, 6 speed, 1 pc fiberglass lift off body, 880 lbs. without driver, locked rear, bead seat, fire system, DSR National and Regional champ, very reliable inexpensive way to start racing, good spare package, 10 wheels, calipers, pads, spare 900RR needs trans work strong engine, also chains & sprockets. SCCA log books. 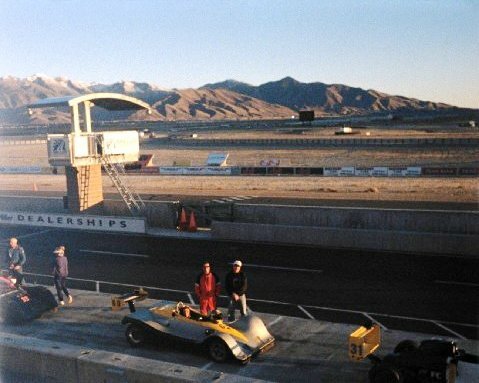 Approved in 1997 SCCA, first race 4/97, raced by John Barker 97, 98. Raced by Dwight Rider 1999-2004. 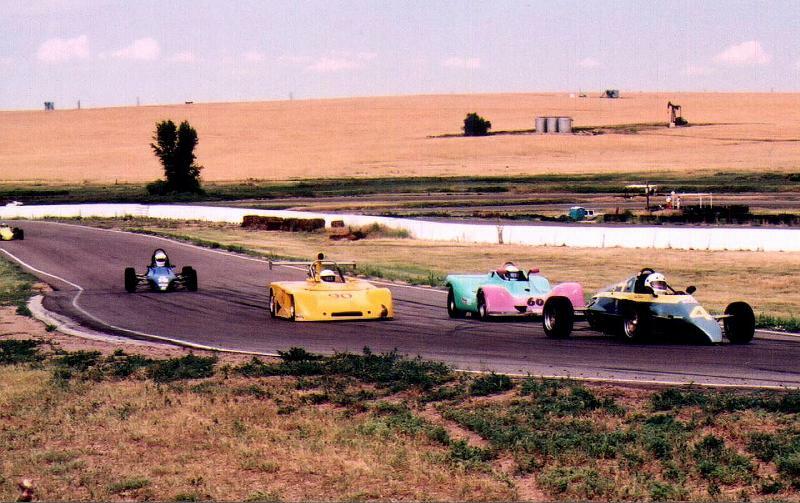 Last race 7-4-2004, Track record Holder Region 8 Mountain View raceway, Mead CO.& Pikes Peak Raceway, Fountain CO. Region 8 National Champ 2000, 2nd 2001, 1st 2002, 2nd 2003, 3rd 2004, Raced 33 times 2000-2004 2 -DNF'S because of mechanical. Hey everyone! I just got off the phone with the original engineer who drew and built this car. 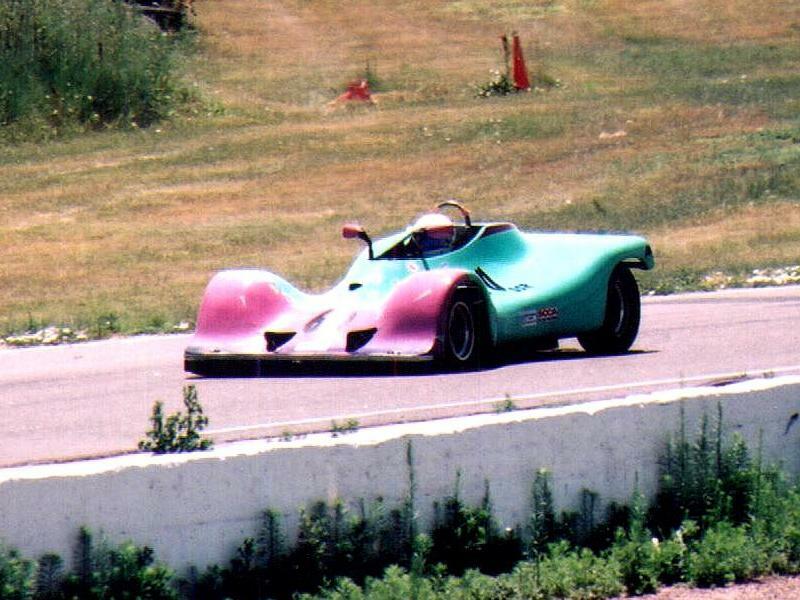 I was just informed that this chassis is a one of a kind, and not a Lola manufactured car! Actually this is chassis #2, but #1 was a full monocoque and this one is a stressed skin monocoque. The difference is that this one utilizes a partial tube frame as well. 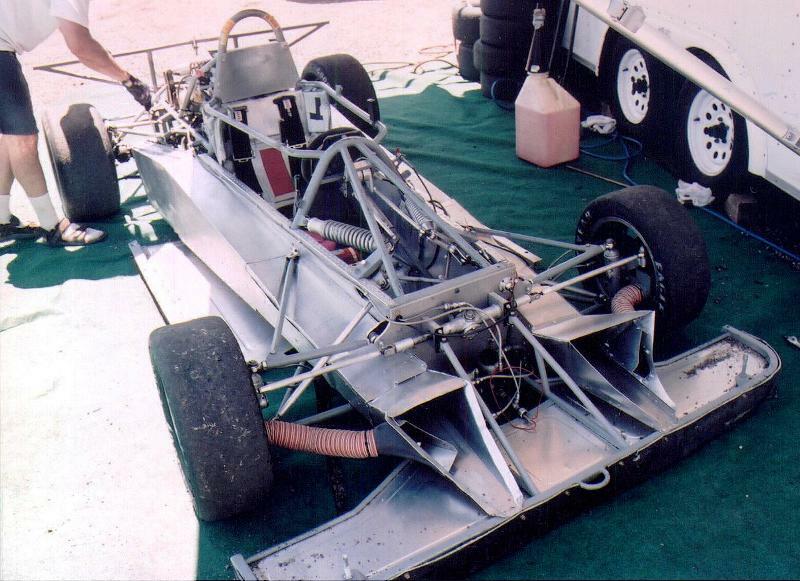 They built this car using Lola suspension pieces and uprights, but the main frame is called a Gazelle! Q: How large of a driver could fit this car? A: Mr. Rider is about 6' 2in. tall, and roughly 200-210 lbs. 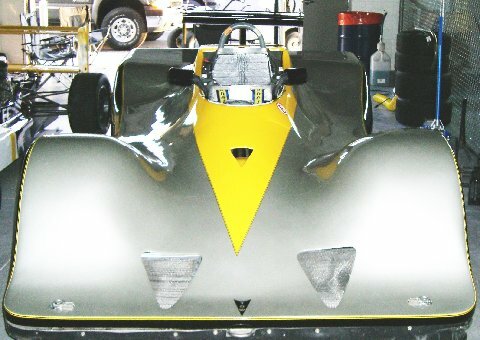 I understand that the body was a design from 1974 for a new class called: Sports 2000, but the car ended up running in BSR because of the engine size. That car was called a Gazelle. 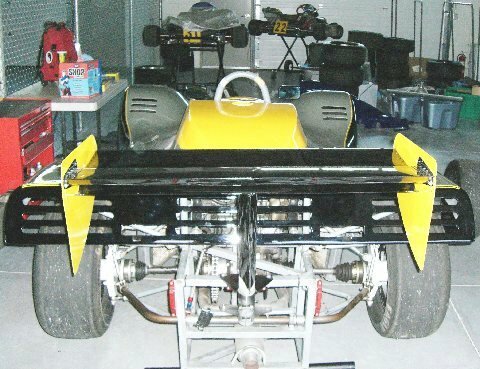 The chassis was then re-designed in 1997-98 and pretty much became more of a Barker than a Lola; inboard shocks, different suspension geometry, stressed mono. tub, etc. He also shortened the body by a foot to accept the DSR configuration. (the body mold is still around) As far as vintage, who knows. Being a limited production and a rare one at that, built especially for the designer, and a body from 1974, I think you have a pretty good argument for that series!! 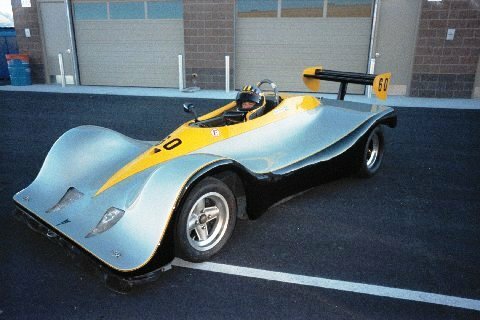 Dwight Rider converted a 1997 formula car (maybe Lola T142) into a DSR, and called it a Gazelle Mk2 - something for Gene Sherman's Cheetah to chase after. 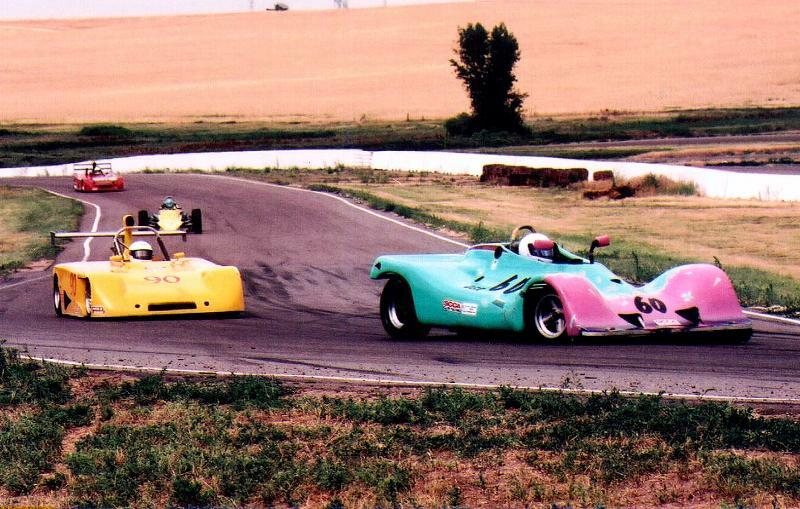 The photos on the right1, of the car in teal and pink livery, are from Second Creek Raceway, Colorado. Note the interesting ducting for the radiators, starting at the front and going all the way to the rear. Bryan Cohn writes, "I remember these from back when I was young going to races at MAR in Wentzville, MO. John Barker owns and drives the car pictured on you chassis page. I saw it at Hallet about 2 years ago. 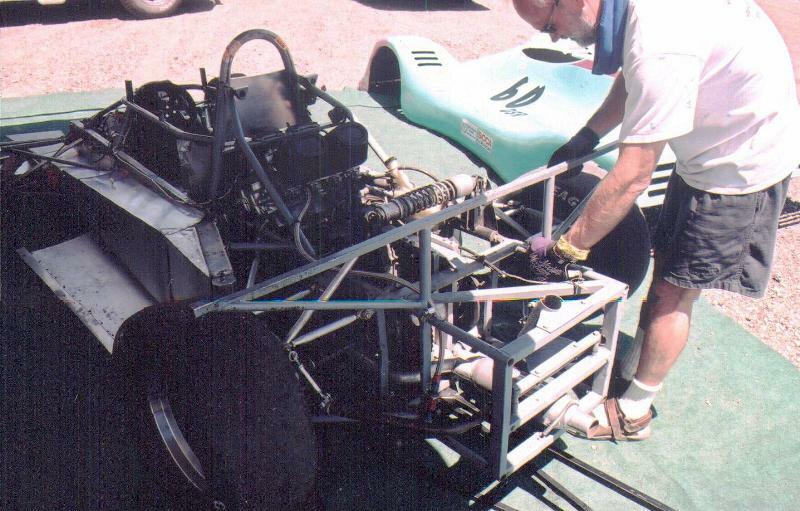 He built the original (as I remember) from an old Lola T142 tub, and was going to run the original S2000 class. 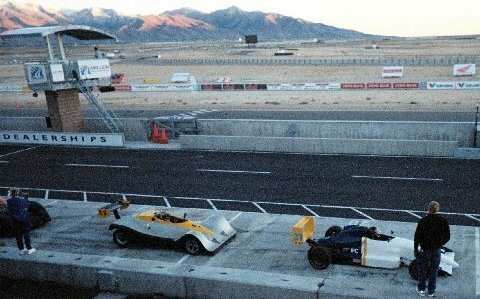 Before he was done, the class in the US changed to a 2 seat formula. Terry McKenna (3 time Champ in CSR & FC) still has one of the bodies hanging in his garage. It was for his Caldwell D9 conversion that never happened. There was one locally in St. Louis for a number of years. It ran CSR with a Datsun 1600 OHC engine. From what I know, it had a tendency to "float" the front tires at high speed. Maybe that aero body work? Local St. Louis Drivers: Dan Layton (currently races a 86 Van Dieman FF), Don Sorich (retired A-B exec), Tony Schroeder (brother of world famous Dorsey). Dan and Don are still local. Bryan Cohn (between cars FF racer and DSR site cruiser)"
2Photos provided by Ivan Utrera.